Because each neighborhood and church is unique, we first must understand context. Please fill out the form below and we will contact you shortly to discuss a neighborhood strategy and provide you with a FREE analysis on your missional readiness. 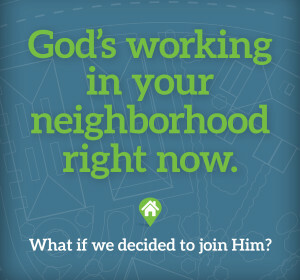 Our mission is to infiltrate and reshape neighborhoods for Christ by deploying Christians from their doorsteps. We intend to accomplish this by working alongside local churches to equip and send their people into their own communities.